Video of Carl Steinitz (Research Professor, Department of Landscape Architecture, Harvard University Graduate School of Design) from e-waterexpo.net week 2: Water and Cities (26 June, 2008). 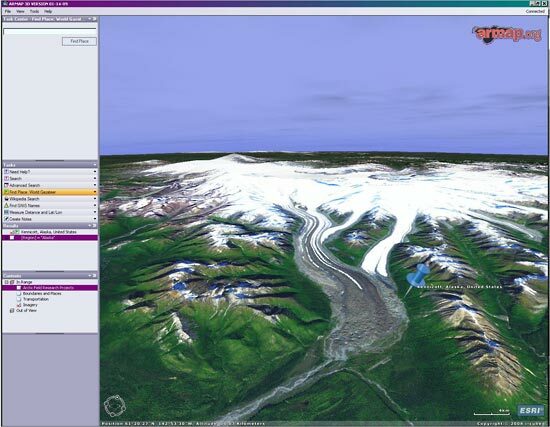 I just ran across a blog post from June 2006 by Nigel Waters titled “GIS Bridges Scientific Modes.” Interesting classification of GIS as Mode 2 (holistic, integrative, multidisciplinary) science, as opposed to Mode 1 (specialized, reductionist) science. 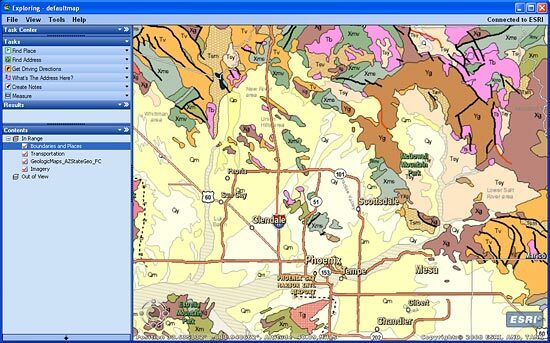 The Arizona Geological Survey has published a great online geologic map of the state using ArcGIS Server, ready to use in a variety of formats. Now available in prepublication form for online reading from the National Academies Press is a new book titled Restructuring Federal Climate Research to Meet the Challenges of Climate Change. National Academies Press has released a new book called Cleaning Up Sites Contaminated with Radioactive Materials: International Workshop Proceedings. Included is a paper titled “Use of GIS for Assessing Territories Contaminated with Radioactive Materials” by A. N. Plate and A. V. Vesselovsky from the Russian Academy of Sciences, Institute of Ore Deposits and Geology.